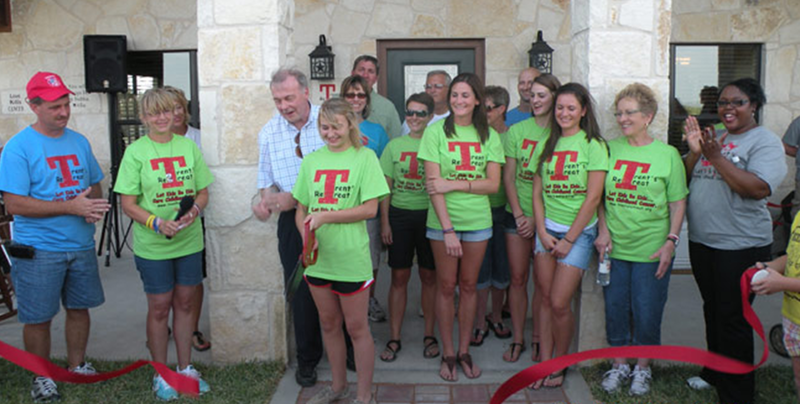 Trent’s Retreat is centrally located in the Heart of Texas between San Angelo and Abilene. We are approximately a three hour drive from Lubbock, Midland-Odessa, San Antonio, Austin, and Ft. Worth-Dallas. The Retreat itself is located along the banks of Elm Creek, one mile north of Ballinger on Farm to Market 2887. The recently completed, fully furnished, 1,200 square foot cabin can sleep eight people. It features two bedrooms with 32″ televisions and DVD players, full bath with handicap accessible shower, living room with sleeper sofa, fully appointed kitchen with pots and pans, dishes, toaster, and coffee maker. The vaulted ceiling living room features a 42″ television and DVD player as well as many board games, books, and DVD’s. A barbeque grill is conveniently located outside. Trent’s Retreat is available at no charge to pediatric cancer patients and their immediate families as well as anyone diagnosed with desmoplastic small round cell tumor (DSRCT), a very rare form of cancer that Trent battled. The building of Trent’s Retreat will truly be a labor of love as it will be built by volunteers. Whether you have experience or not; we welcome your help! A work schedule will be posted closer to summer. We are also looking for donations of materials. If you or your company are interested in donating building materials, landscaping, fixtures, or furnishings, please contact us for specific materials needed. All donations are tax deductible. We have included many family fun activities at the Retreat. Located along the banks of Elm Creek, fishing gear, a paddleboat, and life jackets are provided. 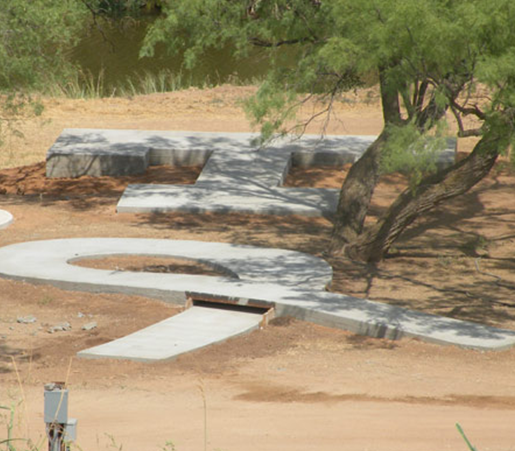 Also on the property is a nine-hole miniature golf course, large playscape, play fort, and outdoor movie screen. Bicycles are available for the 1/2 mile nature trail or just sit on the large front porch and enjoy a beautiful sunrise as you look for nearby deer and turkey. Trent’s Retreat is a place of fun for children, a place of relaxation for parents, and a place for families to be together and make special memories. Copyright © 2018 | Trent's Retreat | All Rights Reserved.